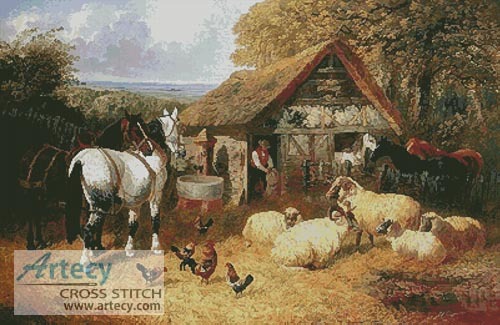 Farmyard Scene Large Cross Stitch Pattern to print online. Only full cross stitches are used in this pattern. It is a black and white symbol pattern. A smaller version of this Pattern can also be found in the Farm Animals Category here. This product was added to our catalog on Tuesday 13 April, 2010. NEW!! Artecy Cross Stitch has another new website for the fantastic new craft of Pixelhobby. cross stitch and there is no counting, or threading needles involved. Click on the banner above to see what it's all about.